Thanks, Eunice and bunny Buttons! 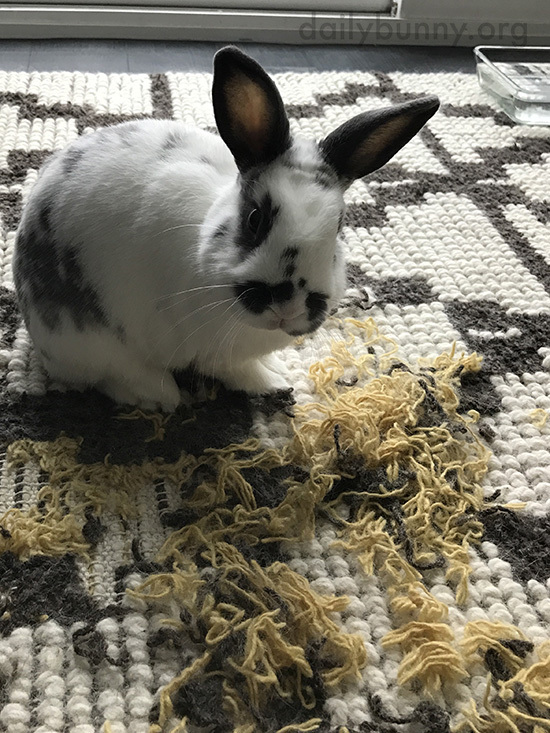 Eunice writes, "Buttons after ripping up the yellow parts of my $500 West Elm rug! He's the sweetest rabbit, and I hate to think of him getting older that anything he does is forgiven."